Ladies five row diamond anniversary band of classic contemporary styling. 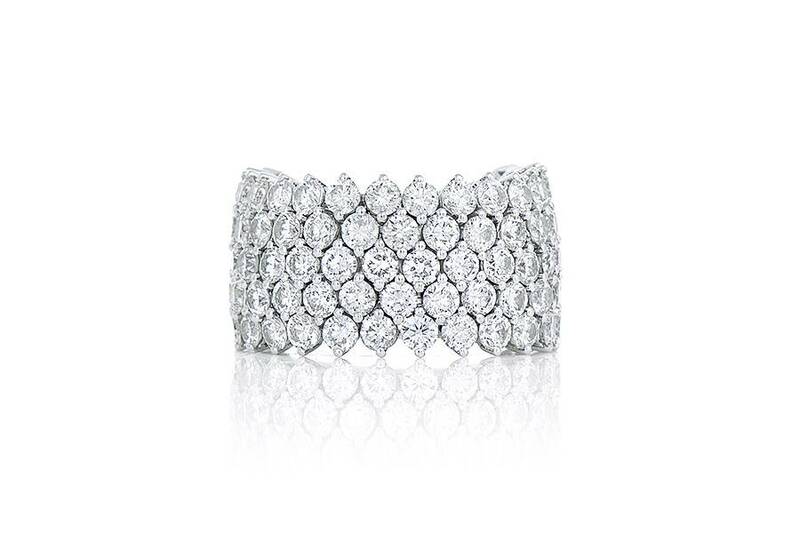 The band is crafted in 18k white gold and is comprised of a honey comb and unique setting. 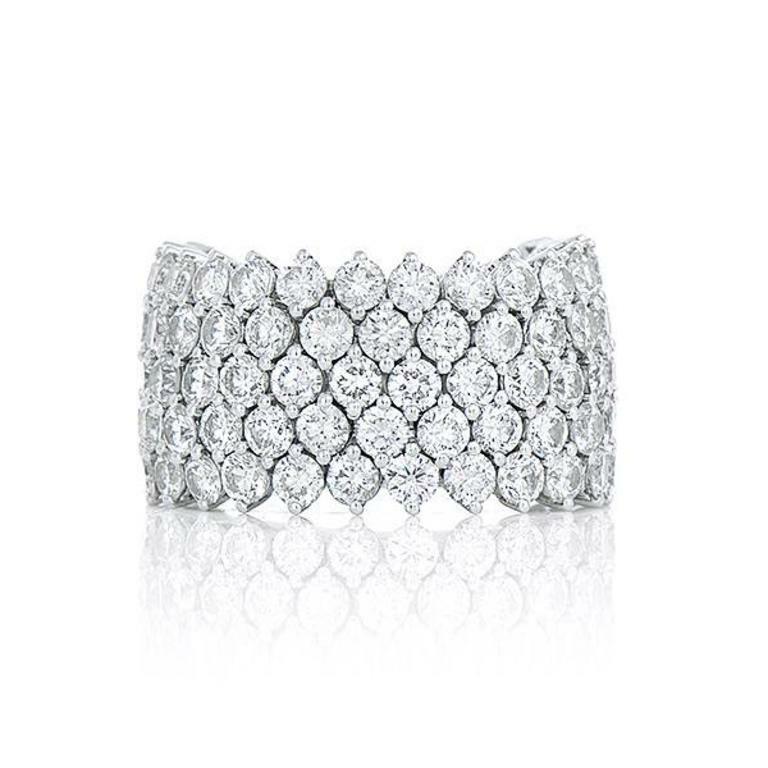 It is set with 94 round brilliant cut diamonds that are shared claw set across a flexible base. These diamonds have a combined weight of 6.43ct.